Has George Galloway lost his Respect for Croydon? Despite promises made a few months ago of being in south London politics for the long-term, George Galloway’s Respect Party may not being fielding a single candidate in Croydon’s local council elections in May. Lee Jasper, Respect’s candidate in the Croydon North by-election in November 2012, revealed the party’s position overnight. Jasper, the former advisor to Ken Livingstone when he was Mayor of London, told Inside Croydon that Respect’s council election candidates will be announced this week. “If we run in Croydon at all that is,” Jasper added. Running candidates at the local elections will be “dependent on resources and priorities,” Jasper said. Galloway, the MP for Bradford West since 2012, has been a controversial figure throughout his political career. He was expelled from the Labour Party a decade ago. In 2012, while running campaigns in two other parliamentary constituencies, Galloway launched Jasper’s bid in the Croydon North by-election at a local night club. There, Galloway made it clear that this was just the beginnings of Respect’s activities in Croydon and that he intended to stick around to contest Town Hall elections in 2014. Respect even rented an office in the Beulah Hill area. But the warning signs that Respect might be an under-resourced one-man band were there to see on the night. Despite various celebrities present to endorse the event, fewer than 100 were at the launch party at Selhurst Park’s Crystals’ night club. Many of those attending were activists from Respect’s better established Tower Hamlets party – people who in 2014 will be busy campaigning on their own patch before their own local elections. Jasper admitted at the time that he had only 40 active campaign workers, probably 200 fewer than he needed. 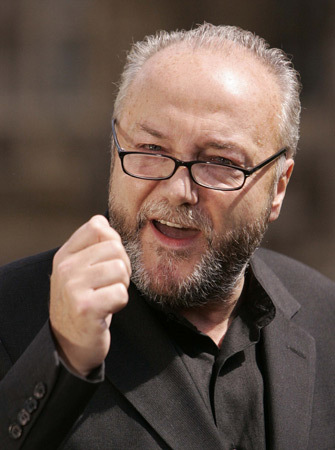 On election day, Jasper’s name appeared as the candidate on the ballot paper, but so did George Galloway’s, probably just in case voters did not make the connection between the “star” of Celebrity Big Brother and the Respect Party. And while Steve Reed – a particular target for Galloway’s anti-Labour rhetoric – polled 65 per cent of all the votes cast in the election, only 707 people voted for Jasper. The difficulties in launching and sustaining a political party – especially when its figurehead is someone as divisive as Galloway – should be self-evident. Respect’s Croydon office is now closed. This entry was posted in 2012 by-election, 2014 council elections, Croydon North, Ken Livingstone, Lee Jasper, Steve Reed MP and tagged Citizen Reed, Croydon, Croydon Council, Croydon North, George Galloway, Ken Livingstone, Labour, Lee Jasper, Member of parliament, Steve Reed, Steve Reed OBE. Bookmark the permalink. 1 Response to Has George Galloway lost his Respect for Croydon? The Respect Party’s Croydon Office closed!!! A sad day for the Borough indeed. What was it? A telephone box ! Reasons given for the closure are a little odd though. More like a lack of support for a joke of a party, full of hot air and Marxist doctrine that proved a complete failure in the 20th Century. Galloway himself is the ultimate cynic, who tell us what HE thinks is wrong but never has the solution to it. He’s a bit like David Moyes at Manchester United really. They’re both running out of time.